The field at the PGA is chasing Brooks Koepka who has a two stroke lead heading into Sunday's final round. 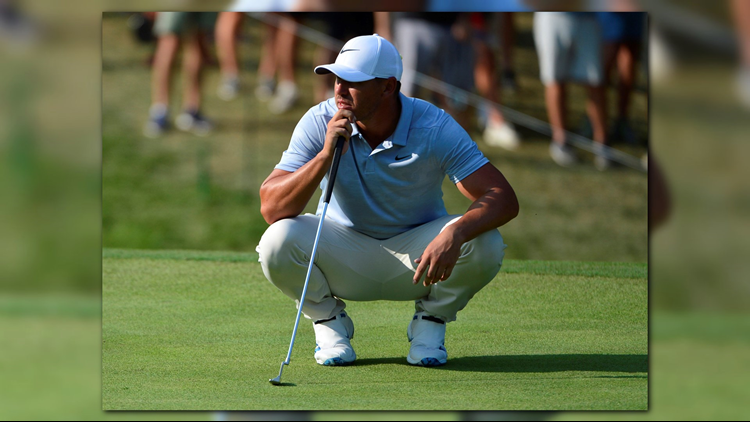 ST. LOUIS (AP) - Brooks Koepka is threatening to become the first golfer since Tiger Woods in 2000 to win the U.S. Open and PGA Championship in the same season. Koepka will carry a two-stroke lead over Adam Scott into Sunday's final round of the PGA Championship at Bellerive Country Club in St. Louis. He followed Friday's tournament record-tying 63 with a 4-under 66 that leaves him 12 under for the tournament. Scott has carded back-to-back 65s to move into contention at minus-10. Jon Rahm, Rickie Fowler and Gary Woodland are three strokes back. Woodland entered the third round with a one-shot lead before shooting a 1-over 71. Woods is another shot back, in a six-way tie for sixth.